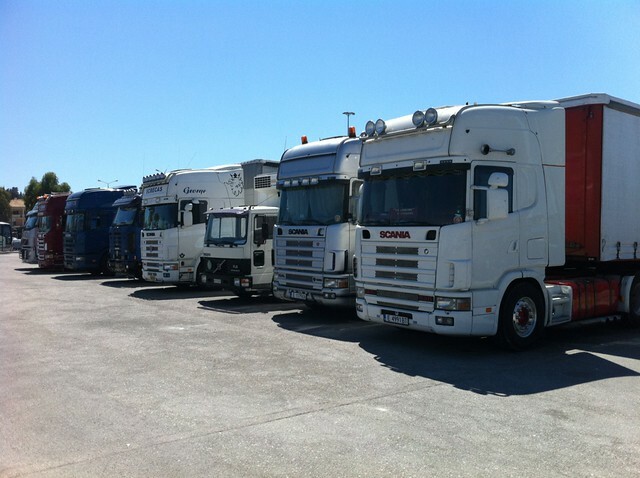 The office I work in is quite a truck orientated one. Plenty of trucking calendars and photo’s of the fleet on the walls, truck models on the shelves, along with the all truck show trophies. So you’d imagine the boss’s of said company to be fair truck perverts as well. Well the bigger one of the two clearly is, but the quieter one, well you can never be too sure. On the phone his wife claims he is truck mad!! So while he was away on his annual summer cruise, this year around the mediterranean, I was pleased to see received this wicked little batch of photo’s from the quiet one. I can’t decide whether to go in order of the cruise of whether to start with the best?? The latter option it is. On arrival in most ports on a cruise you get to walk off in to the local town, obviously this means walking through the not always too touristy port area itself. This can be some people’s idea of a good holiday though! 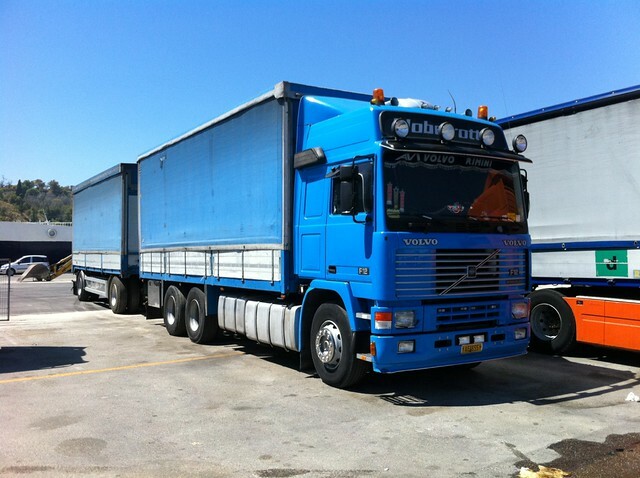 This gorgeous truck heading to the twighlight of her years was basking in the mid-summer sun in Corfu. What a find, sitting there waiting out the Bank Holiday. The Volvo F12 Globetrotter is a real dream truck for many of you and from this photo I can see why. So what else does Corfu have to offer I hear you cry……………. 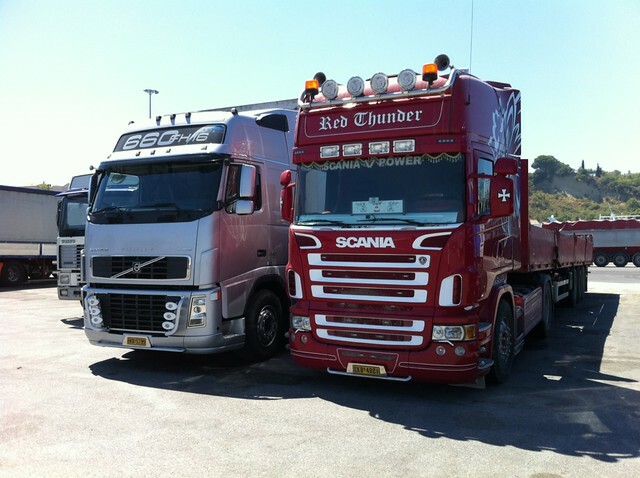 There wasn’t just one classic truck enjoying the bank holiday sunshine, this SUPER Swede was also in Corfu port. 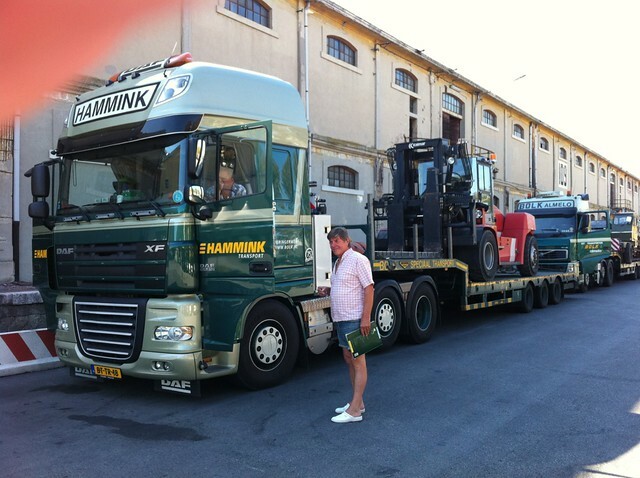 This very well kept <a title="Captains Log: More Corfu by benners10, on Flickr" href="Scania 143 Streamline was busy unloading on the quay right next to the ship. 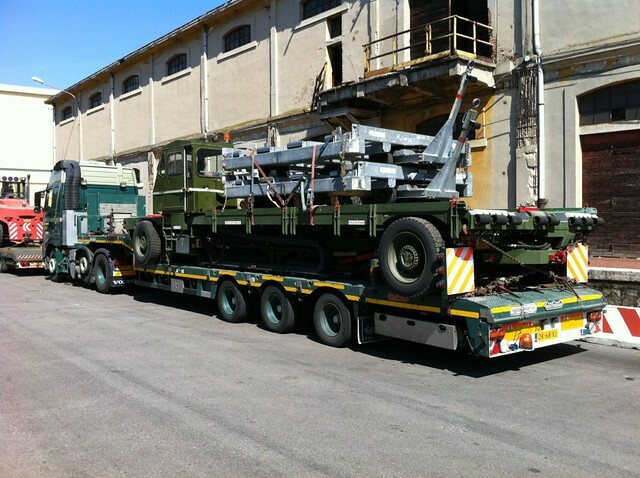 Any ideas what he is unloading? No? nor have I?? Answers on a post card (or leave a comment below!). Once he had done his days work the old faithfull Scania headed round to enjoy the rest of the day off and join the other trucks waiting for the fery to head back to mainland Greece. Now before the Captain and his ship arrived in the truck holiday destination that is Corfu, they had been in the world renowned Italian city that is Venice. Picture the scene…..The director of a well know company is getting off a beautiful modern cruise ship, with his wife and 2 sons, all looking forward to their trip into one of the most beautiful ancient cities that is Venice, all that history and culture. Oooo I can’t wait, lets have a look at some of the holiday snaps from this gorgeous city……. The smart German registerred Volvo was weekend in the port. Not sure which was he was heading but looking at the name in the headboard, does suggest a Greek link perhaps. 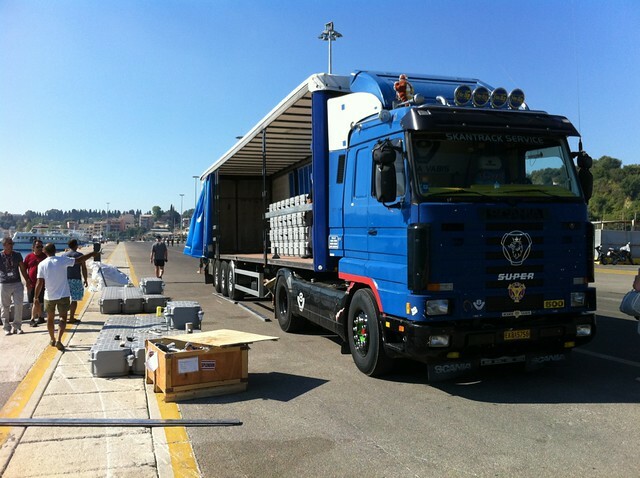 The other 2 trucks were fresh off the Minoan Lines boat from Greece. 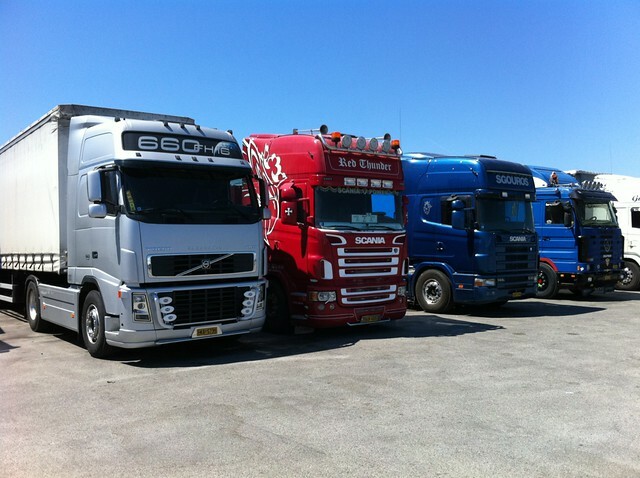 Both in the colours of Dutch haulier Bolk Transport. The first truck must belong to a regular Bolk subbie, clever aren’t I!?! Great spotting in my book, can’t wait for the next cruise, America perhaps??? 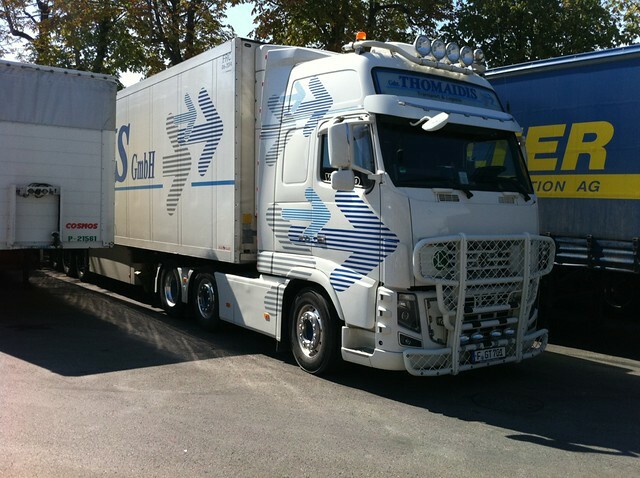 This entry was posted in Golden Oldies, Photos, Scania, Volvo by truckbloguk. Bookmark the permalink.